The over-hyped “blue wave” failed to materialize in the Texas primaries on Tuesday. The Texas primary results were closely watched around the country. They represented the first state primary election in what looks to be a contentious 2018 congressional midterm election season. Democrats, based on some early special election result successes in state legislative races and a potential success in next week’s special election in Pennsylvania’s 18th Congressional District, believe they can gain the 24 seats they need to take back majority control in the House of Representatives. The final results, according to the Texas Secretary of State, showed that 1.5 million Texans voted in the Republican primary for governor, while only 1 million voted in Democratic primary, a 60 percent to 40 percent advantage for Republicans over Democrats, and a recent record turnout for both parties. Early voting results “appeared to be a clear continuation of the boundless Democratic energy popping up all across the country in opposition to Donald Trump, but by the time Election Day numbers came in, the enthusiasm dimmed — slightly. Data from the state’s other 239 counties favored Republicans, and by the end of the night, there were roughly a half-million more votes in the GOP primary than in the Democratic primary,” Politico reported. If Democrats are to succeed in winning back majority control in the House in 2018, they will need to take back anywhere from one to three seats in the House from Republicans in Texas to reach their goal of a net gain of 24 seats. Since 25 of the 36 House seats from Texas are currently held by Republicans, Democrats have more opportunities for gain, but the latest Cook Political Report rating of congressional races shows that only one of those 25 seats — the 7th Congressional District seat currently held by Rep. John Culberson (R-TX), is a toss-up. None of the 25 Republican seats are rated as lean Democrat. Nothing in Tuesday’s primary results suggest Democrats are any closer to accomplishing that goal in March 2018 than they were in March 2017. Although the outcome of any election cycle can be determined by factors not apparent in previous elections — Donald Trump’s victory in the 2016 presidential election is a case in point — recent voting behavior can also identify tendencies that tea leaf readers consider predictive. Comparing the 2018 Texas primary results with those of the three most recent similar congressional midterm elections — 2006, when the Democrats took back the House, 2010, when the Republicans took back the House, and 2014, when Republicans increased their majority — there is little historical evidence to support the notion that any of the 24 net gains Democrats need to take back the House in 2018 will come from Texas. In 2006, for instance, when Democrats enjoyed an 11.5 percent generic congressional ballot advantage nationally in the final pre-election Real Clear Politics average of polls, they regained the majority in the House of Representatives with a net gain of 31 seats on election day. Two of those Democratic net gains came in Texas congressional districts. In the March 2006 Texas primaries, turnout was significantly lower in both parties than 2018 primary turnout. Within that primary turnout, the Republicans had an advantage over the Democrats, but it was significantly less pronounced than in 2018. Statewide in 2006, general election turnout for the top of the ballot gubernatorial race was 4.4 million, down 3 percent from the previous gubernatorial election in 2002. In 2010, when Republicans enjoyed a 9.3 percent generic congressional ballot advantage nationally in the final pre-election Real Clear Politics average of polls, they regained the majority in the House of Representatives with a net gain of 63 seats on election day. Three of those Republican net gains came in Texas congressional districts. In the March 2010 Texas primaries, turnout was about the same among Republican primary voters in 2018, but significantly lower among Democrats compared to 2018. More than 2 million votes were cast, a total of 1,484,000 were Republicans while only 608,000 were Democrats, a 70 percent to 30 percent advantage for Republicans. Clearly, the Tea Party-powered enthusiasm drove Republican primary turnout that year. Statewide in 2010, general election turnout for the top of the ballot gubernatorial race was 4.9 million, a ten percent increase from the previous gubernatorial election in 2006. In 2014 — the first congressional midterm election after Republicans gerrymandered congressional districts most experts say give them a 5 percent national advantage — when Republicans enjoyed a 2.4 percent generic congressional ballot advantage nationally in the final pre-election Real Clear Politics average of polls, they solidified their majority in the House of Representatives with a net gain of 13 seats on election day. There was no change that year in the party affiliation of members of the Texas congressional delegation. A little more than 1.8 million votes were cast in the 2014 Texas primaries, down 10 percent from the 2010 primaries. More than 1.3 million votes were cast in the Republican primary, while 555,000 were cast in the Democratic primary, a 70 percent to 30 percent advantage for Republicans over Democrats, just as had been the case in the 2010 primaries. Statewide in 2014, general election turnout for the top of the ballot gubernatorial race was about 4.7 million, a five percent decrease from the previous gubernatorial election in 2010. Eight months before the midterm election, Democrats currently have an 8.9 percent generic congressional ballot advantage nationally in the Real Clear Politics average of polls. (The five percent gerrymandered advantage still applies). That data, compared to the pre-gerrymandering 11.5 percent generic congressional ballot advantage Democrats had just prior to the 2006 midterms that gave them a net gain of 31 seats, suggests that, half a year before voters go to the polls, Democrats are likely to fall short of their targeted 24 net gains needed to win back the majority in November. Congressional elections are won in 435 separate races, however. The clear Democratic enthusiasm advantage, combined with the huge financial resources liberal groups and wealthy contributors are expected to make available in 40 to 75 targeted races, suggests that past election results may have about the same predictive power in the 2018 House races as they did in the 2016 presidential race. Pollster Scott Rasmussen summed up the fluid nature of the current political climate in an article published on Thursday. “The Democratic enthusiasm on display in Texas could easily be enough to give Democrats control of Congress and make Nancy Pelosi the Speaker of the House. Texas results confirmed the conventional wisdom that millions of Democrats can’t wait to express their displeasure with President Donald Trump at the polls,” Rasmussen continued. 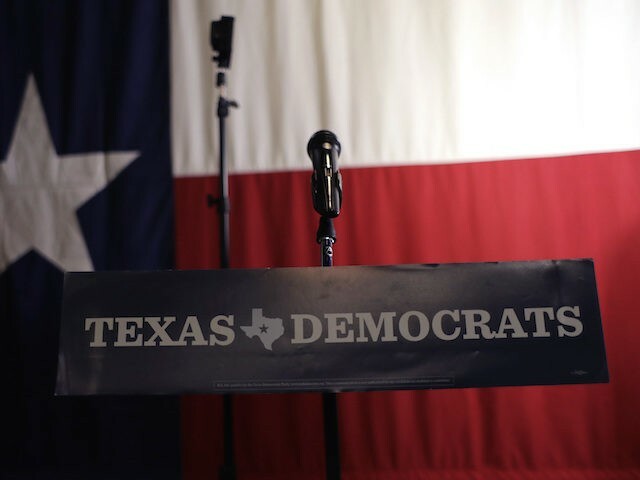 “The early indications from Texas suggest that the Democratic primary voters are more likely to prefer progressive Democrats and reject the establishment. If that trend continues nationwide, reluctant Trump supporters may conclude it’s worth the effort to show up and vote once again for the lesser of two evils,” he concluded.